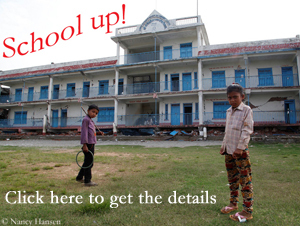 Once again the weather in the Karakorum is a grab bag. 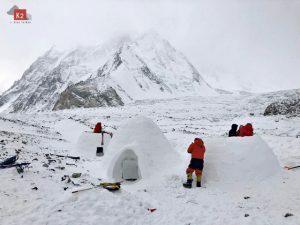 “We are all still at Base Camp with the same 4 seasons in one day, sun, cloud, rain, snow, wind,” the New Zealand expedition leader Russell Brice wrote this week from K 2, the second highest mountain on earth. About 20 kilometers as the crow flies from there, Alberto Inurrategi, Juan Vallejo and Mikel Zabalza regardless of the freak weather started their ambitious attempt to traverse Gasherbrum I and II in Alpine style without descending to the base camp – 33 years after Reinhold Messner’s and Hans Kammerlander’s pioneering on these two eight-thousanders which has not yet been repeated to date. Originally, the Spaniards had planned to climb G I and then G II, in reverse order to the way of the two South Tyroleans in 1984. However, too much fresh snow on G I and expected strong winds on this mountain forced them to replan. 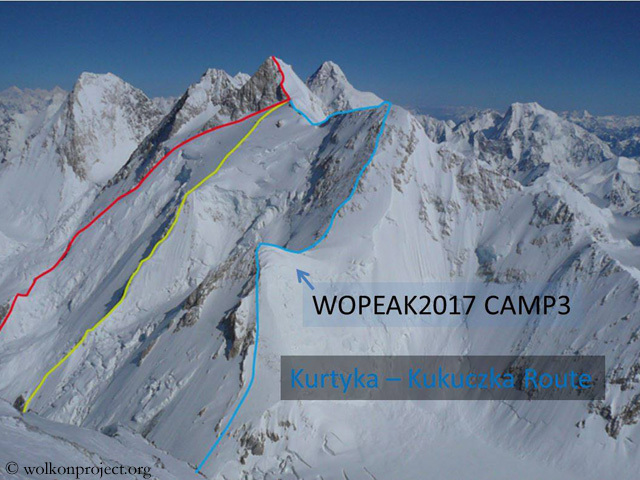 The trio decided to tackle G II first, as Messner and Kammerlander had done, but on the route of the two Poles Jerzy Kukuczka and Wojciech Kurtyka from 1983 via the East Ridge. Today they turned around there at about 7,100 meters and descended, as their GPS tracker showed. “The ridge was too risky due to the intense wind, “ their team confirmed on Facebook. The three Spaniards are a well-coordinated and highly experienced team. 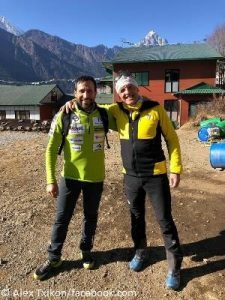 In 2002, Alberto Inurrategi, today aged 48, was the tenth climber who completed his collection of the 14 eight-thousanders and the fourth who did it without bottled oxygen. He scaled twelve eight-thousanders along with his older brother Felix, who died in an accident during the descend from Gasherbrum II in 2000. Juan Vallejo, 47 years old, has climbed nine of the 14 eight-thousanders. 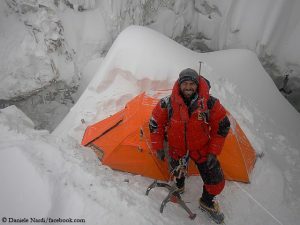 Mikel Zabalza, aged 47 too, reached the summits of K 2 in 2004 and Manaslu in 2008. As a trio, Alberto, Juan and Mikel opened a new route to the 8011-meter-high Central Summit of Broad Peak in 2010. The Main Summit is 40 meters higher. 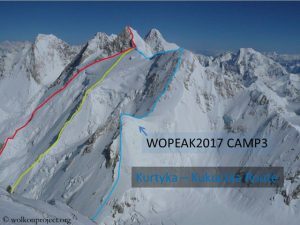 However, they also failed with some of their ambitious projects, for example on the Makalu West Pillar (in spring 2009), in the Hornbein Couloir on Mount Everest (in fall 2009) or also in the summer of 2016, when they first tried to traverse Gasherbrum I and II.